Hello! If you thought you’d missed our weekly news snippets throughout September, don’t worry you haven’t. 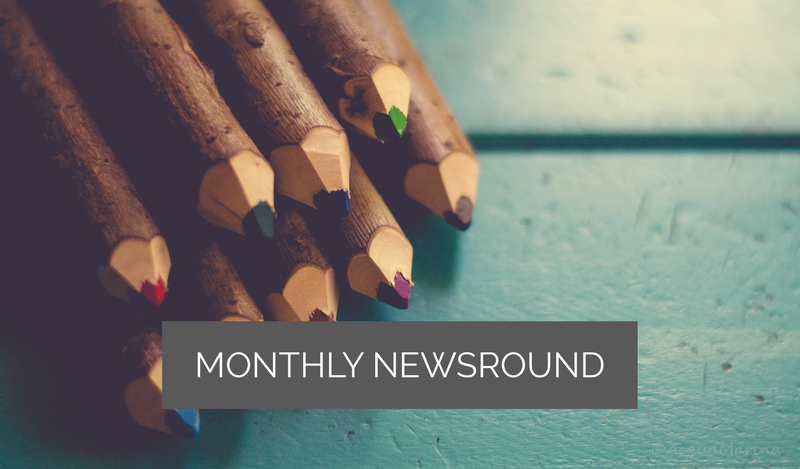 We’ve now moved to a monthly roundup, so this week we’re bringing you our pick of the stories in September. So, what’s caught our eye over the last month? Much of it amounts to Trouble on the High Street with even John Lewis struggling, and Aldi under pressure too, but there could also be some help with a Royal lifeline. Best in Europe will perhaps give you a lift if you find all of this pretty grim reading. And we also have some stories related to the Workplace. Trouble on the High Street: It’s really quite shocking to see the headline ‘John Lewis Partnership profits crash by 53.3%’. And that Aldi’s profits have dropped for the third consecutive year. But they’re also reporting increases in sales and customers – and in the case of Aldi, continued increase of market share. So why the fall in profits? Well, Aldi has been aggressively expanding, and John Lewis has been re-organising which has included redundancy costs. So both say, it’s tough out there – with inflation rising (jumping to 2.9% in August, up from 2.6%), and the devaluation of the pound – and in that environment the squeeze on profits is to be expected. Hmmm, we do keep hearing this don’t we? And yet look at Morrisons – which has just reported a leap in its profits by 40%. Now, to be fair, Morrisons was in dire straits last year, and has been through the tough times to get back on track. And it now seems to be bearing fruit (pun intended!). So if Morrisons is showing strong profits, what does that say about Aldi and John Lewis? There are other retailers in trouble too – such as House of Fraser (a long standing battle to turn the company around), and TX Maxx, to name but a couple. Here’s a number of articles for you to read the details of the ups and down of all 5 retailers. Royal lifeline: Yes, another new Royal life is on its way, with the Duchess of Cambridge now expecting a third child. And a positive effect of that for the retail industry is apparently it could spark a baby boom. And with that comes…more spending on not only baby related products and maternity fashion, but apparently…groceries. We’re not convinced by the latter, but anyway, no matter when the estimate is to the tune of £100million. Have a read of this article and see if it resonates with you. Best is Europe: There’s also some good news – for once, we’re going to be top of a table of our ‘peers’ – for employment levels. According to this article, the UK is actually on course to have the highest employment rate in the Western world, not just Europe, with only Japan ahead of us at the moment. UK employment levels have for some months now been at their highest since records began back in the ’70s. What’s interesting is that despite all the worry about Brexit, we’re creating more and more jobs – nearly 400,000 of them over the last year. The biggest increases were in sectors such as IT, communications, hotel and restaurants. Workplace news: Apparently, 63% of young parents are unaware of their entitlement to unpaid parental leave. And none more so than in the retail industry. Employers and their managers just aren’t bringing these sorts of benefits to the attention of people who qualify. This research by the TUC is really quite surprising in this day and age, particularly that nearly half of fathers feel stigmatised at work because they need flexibility due to childcare. Not surprising then that other research just out shows that flexible working is the most valued benefit by those surveyed in this report. So, employers take note. Employers should also take note of a growing realisation about the detrimental effect the menopause has on women in the workplace. This article will signpost you to a variety of reports recently published from places such as The Government Equality Office, the Tonight programme, and Newsnight. It’s gathering pace, so if your employer is good on well-being at work, but this is a gap, ask them about it. Given that 60% of women aged 50 to 65 are now in work, and nearly 25% of them are going to experience severe effects from the menopause, which will affect them at work, it’s in everyones interest that both employer and employee – including managers – understand what the symptoms and affects are, so that rather than giving up work, this large section of the workforce can continue to be effective for as long as they want to work. As well as dogs in the workplace, this issue is going to be one of our soap boxes, so be warned! Well, that’ our roundup of September’s news. Did you enjoy it? Is having a monthly, rather than weekly, blog better for you, or not? Let us know your thoughts. We’ll be issuing our next one in early November, so do look out for it. Until then, have a good October – the clocks will go back, our winter wardrobes will come out, the heating will be back on – in other words, all the cosiness of Autumn. Enjoy.